If you’re like me, every five or ten years, you lose your key ring and everything on it — and it always happens at an inopportune time. It’s frustrating — not too many things make you feel like a bigger dummy! 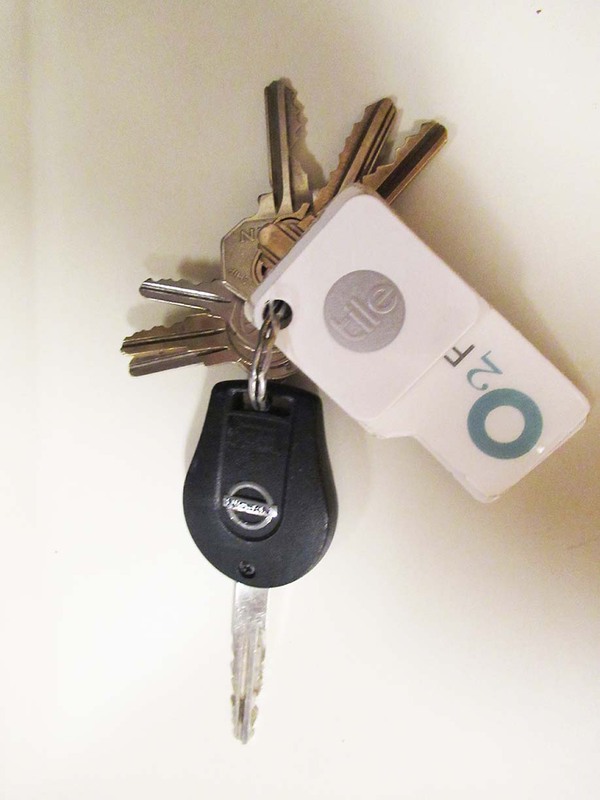 It’s expensive — since many cars now (including mine) run only using an electronic key fob that costs $250 or more to replace. The spare key only opens the outside door, but won’t run the car. It’s inconvenient and time-consuming to go to the car dealer to pay $250 to get a replacement key fob and to the locksmith to get replacement house and garage keys made. It’s also embarrassing to have to tell your boss you lost the keys to every filing cabinet around your desk, and go to the fitness center to request a replacement key ring entry card, etc. I recently went on a 9-mile group hike with 28 other people and realized at the half-way point (where a group of us were going to call it a day and head back to our cars) that I no longer had my key ring. I’d ridden in several people’s cars to get there so we could carpool back, and we’d been walking on muddy trails — so the keys could’ve fallen from my pocket anywhere without making much noise. An extremely nice woman drove me all the way home so I could dig around for a hidden spare house key, then run inside for my back-up key fob — and she drove me back to the starting point where my car was parked and locked. Right then, I decided to take action to avoid ever being in that situation again! 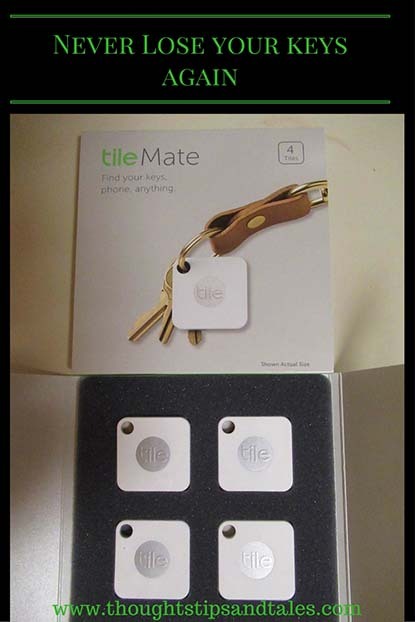 When I got home the second time, I went to the Amazon website and ordered a Tile Mate key finder 4-pack for $70. 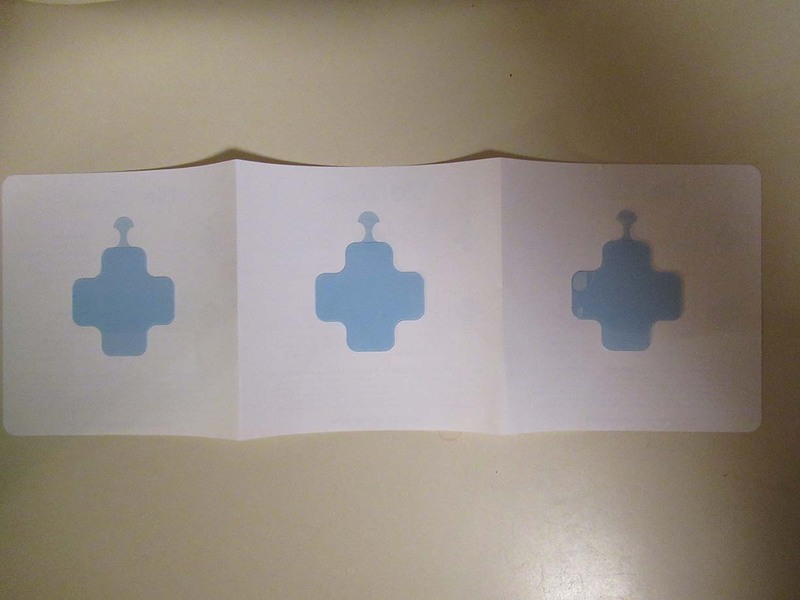 My friend had been telling me several days before about the ones she got her husband for Christmas – and explained how they work. If you lose an item, simply ping it on the phone app and the Tile plays one of 3 “songs” (which sound like cell phone tunes) to help you locate it. If the item is outside the 100-foot range and you can’t find it, you’re automatically connected to the Community Find feature. 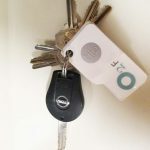 Smart phones of Tile Mate users who are in the area of your lost item running Bluetooth on their phone and come within 100 feet of your Tile automatically notifies the tracker company, which alerts you by text message of the device’s last known location. By the same token, if you — and your Bluetooth-enabled phone — come near someone else’s tracked item, your Tile phone app automatically — and anonymously — reports the location of that device to help the other person. It’s a great plan! and anything else you affix the Tile to or put it inside of. This product is a winner! If you can’t locate your smartphone and have a Tile item, you can press the middle of the tile to find your phone (sort of like a reverse look-up)! Losing Weight: Weight Watchers Now – WOW! Reminder Techniques: Which are the Best? 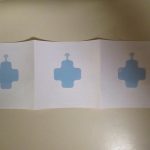 This entry was posted in How to, Tile Mate and tagged finding lost items, key tracker, lost items, Tile, Tile Mate, tracking device. Bookmark the permalink. Wow, I love this! It’s a super idea for sure! I have it on my wishlist. Thank you! EVERYONE at my house needs one of those!